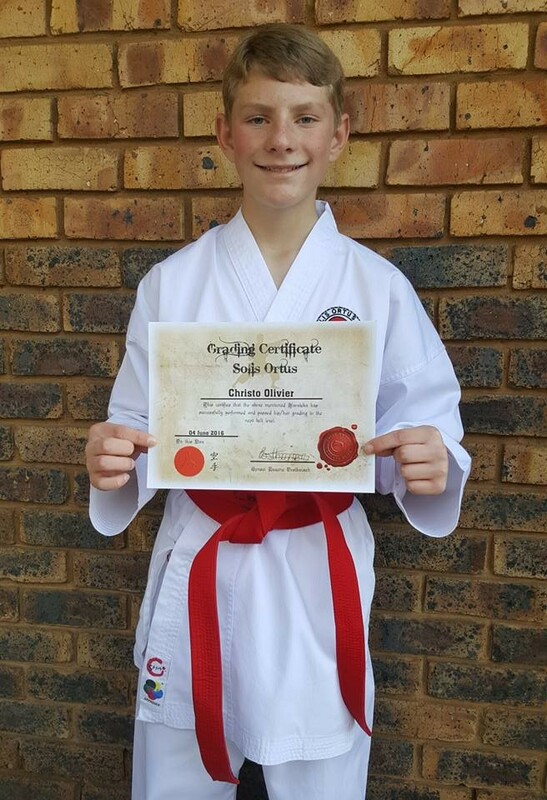 As preparation for this grading, and as a motivation mechanism, we took away the students’ belts and “downgraded” them if they did not know their previous katas. 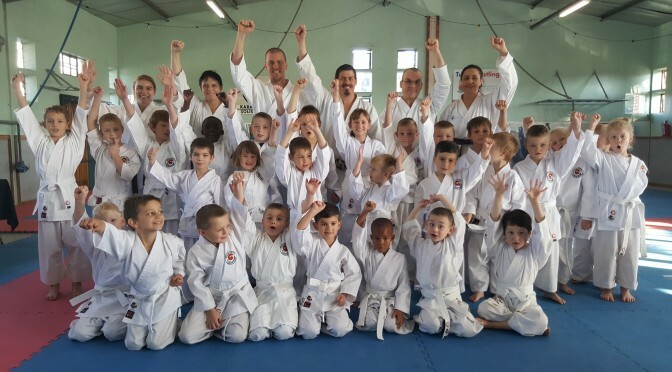 Together with this method we provided them with the opportunity to claim back their original belts during the next class by showing us that they knew their katas. Some students were not happy with this arrangement, but I had the backing of all my karate parents and this method proved to work. Together with this method, everybody worked really hard and with repetition, repetition and some more repetition we had a great and successful grading day on Saturday, 4 June 2016. Each karateka did their best, and that is all I ever ask of you. Do your best and have fun. I see a new found confidence in everybody wearing their new belts to class. I want you to remember how you feel now, after grading, after grading successfully and moving up another belt level. In karate the hard work is never over, but the rewards are so exhilarating. Enjoy every moment.